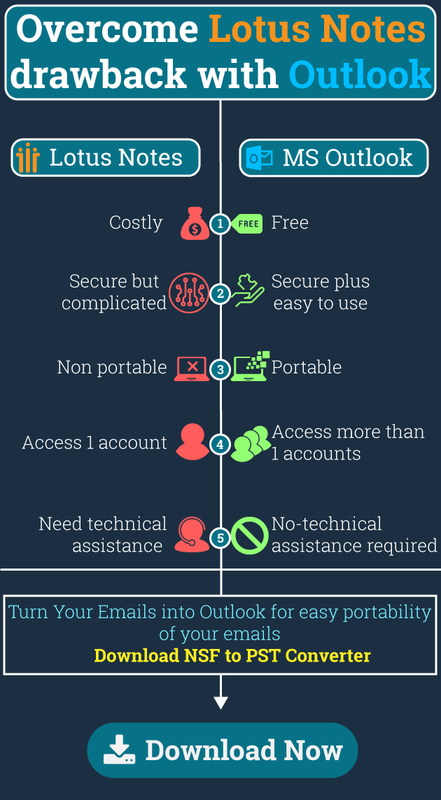 Users need to accomplish email migration for a number of beneficial reasons, that may include high-end functions, affordability or advance communication. 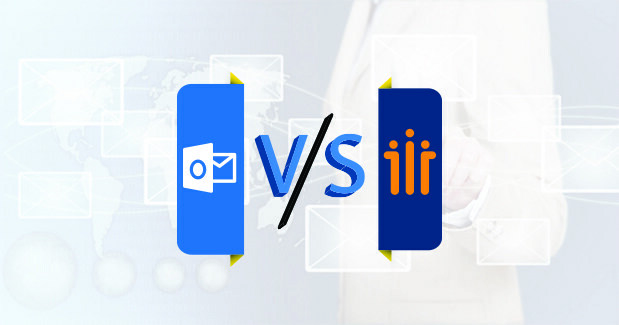 As you know that all the email clients like Outlook Lotus Notes, Thunderbird and etc work on email communications and store them for you on the desktop itself in a particular file format. And this makes email migration task tedious & frustrating. 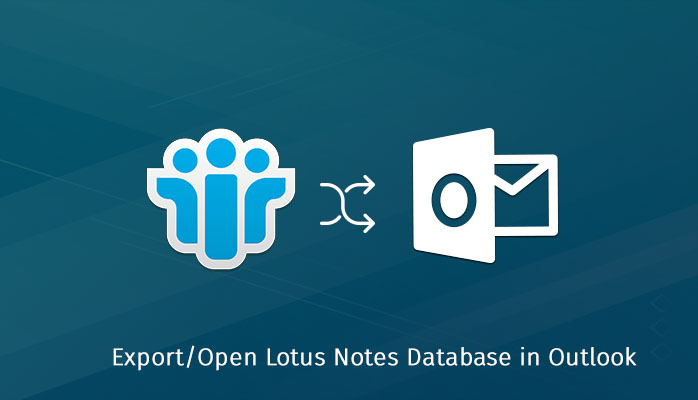 So, this blog will explain to you on the particular topic “How to Export/Open Lotus Notes Database in Outlook”. Lotus Notes’ data storage format NSF file whereas MS Outlook makes the use of PST format to save the email information. 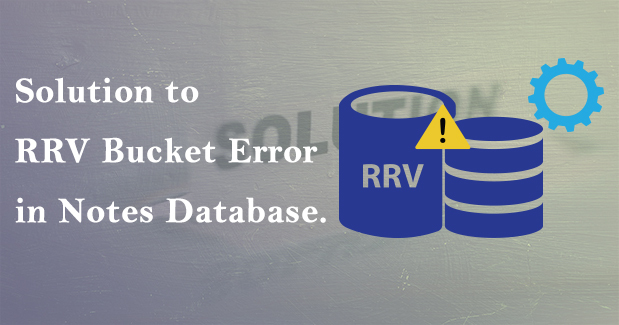 For a complete process it requires some of your time and efforts, a little mistake can lead to file damage /corruption in the entire database. Moreover, users may also face some severe damage issues or threat related to attachment corruption is on the top. And if you want to operate the process accurately, then opt for the professional third-party application; NSF to PST Converter. 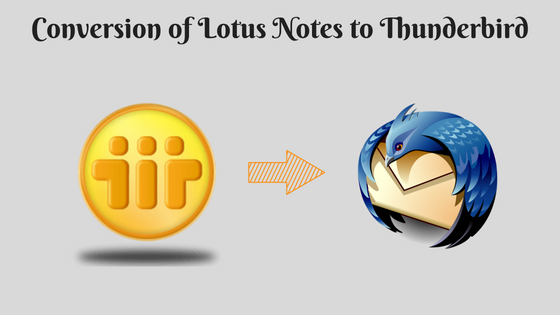 What are the Drawbacks of Lotus Notes? 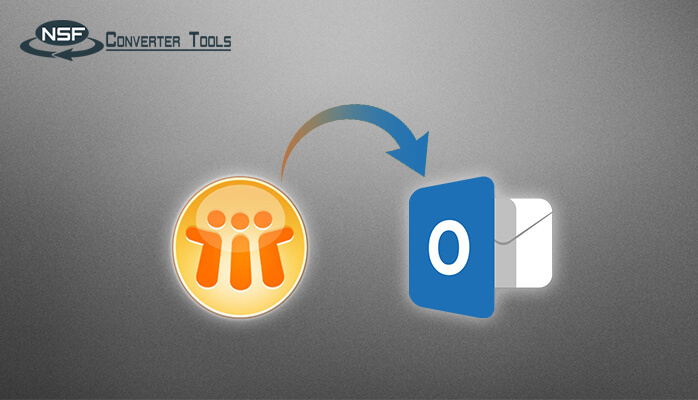 Lotus Notes is a highly maintainable and charged as compared to MS Outlook. Meanwhile, one of the secure email application by developed IBM but very complicated performance. Therefore, many of the users like you find it quite difficult to work and understand it’s interface. Most of you are not able to view the NSF emails on Smartphone’s but Microsoft Outlook provides the feature to access their mail easily on phones too. In such circumstances, you might need to convert Lotus Notes database in Outlook to easy access/view NSF format emails as PST format. Choose the desired option. A message will appear displaying ‘Select the option and click OK’. Click on OK button. Import and Export Wizard window will appear, click the option ‘Import from another file or program’. 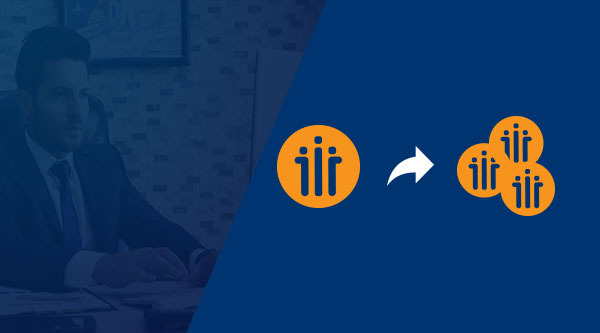 You can try the above manual migration process, but it might complicate your process and consume a lot of during the process. 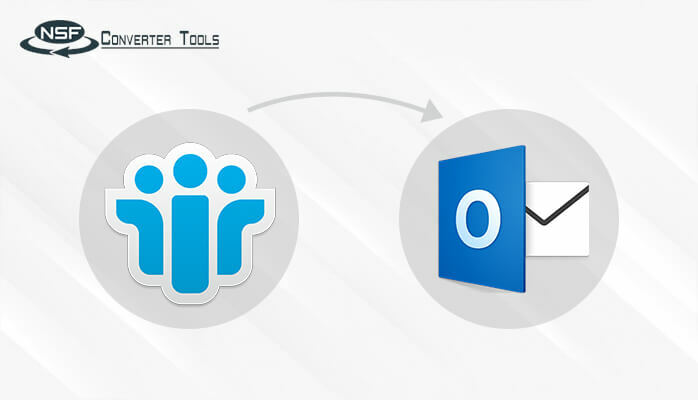 So get assisted with the professional and advanced technique by opting for Lotus Notes to Outlook Converter, which is specifically been crafted for easy, accurate and fast NSF file conversion from Lotus Notes to Outlook. NSF to PST Converter takes minimum time which depends on the file size for conversion. During NSF file to PST conversion, the file content will remain persistent even in the slightest manner. NSF to PST Converter converts NSF files to PST quickly without wasting user’s time. Advance preview mode is available so that users can see the files before conversion and choose the desired ones. Perform conversion of all metadata properties with its folder structure. Supports all the earlier and latest editions of Windows OS and Microsoft Outlook. You can also download this NSF to PST software for free, the demo version of this program is available with the help of which you can convert 20 NSF files into PST format. So, NSF to PST Converter will save time and also no technical assistance will be needed to execute NSF files to PST conversion.